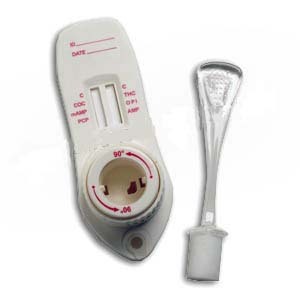 For the detection of JWH-018 and JWH-073 metabolites in urine. JWH-018 and JWH-073 are the primary synthetic cannabinoid receptor agonists responsible for the euphoric and psychoactive effects that imitate marijuana and are among the numerous compounds found in "herbal" incense or smoke blends. JWH-compounds are now being sprayed on herbal material and sold as "fake weed" or "synthetic marijuana." Users looking for a "legal high" often turn to popular herbal smoking products marketed under brand names such as K2, K3, Spice, Genie, Smoke, Pot-pourri, Buzz, Pulse, Hush, Mystery, Earthquake, Ocean Blue, Stinger, Serenity and many others. 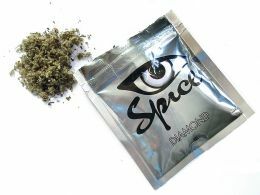 Synthetic cannabinoid chemicals are often laced in the herbal smoking products that are readily available via the Internet and in many head-shops around the country. 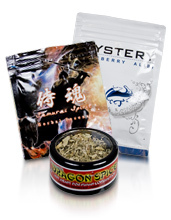 Users looking for a "legal high" often turn to these herbal smoking or incense products because they do not show up on a standard urine drug test. Why use our Lab to test for synthetic cannabinoids? Our Lab is one of the largest, full-service, independent drug and alcohol testing laboratories in the United States. Our LAB utilizes state-of-the-art screening and confirmation methodologies for urine and oral fluid drug testing and is trusted by over 7,000 customers. These customers rely on the our Lab promise that "We will find out." How will my agency benefit from choosing the our Lab Synthetic Cannabinoid Test? 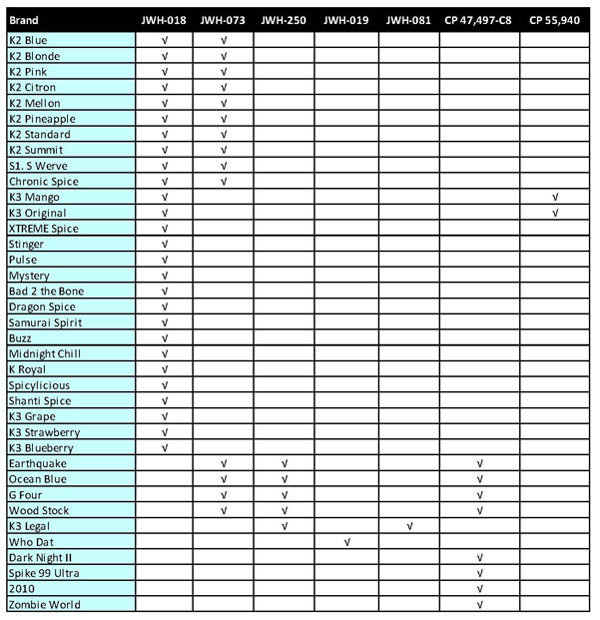 There are no cut-off levels for OUR LAB's Urine Synthetic Cannabinoid Test. Toxicology result reporting for JWH-018 and JWH-073 will indicate either "Detected" or "Not Detected." The cut-off level for the oral fluid test is 0.5 ng/mL for JWH-018, JWH-073 and JWH-250. Will a standard drug test detect synthetic cannabinoids?? Conventional drug test panels will not detect the broad range of synthetic cannabinoids. They pass undetected in standard urine or oral fluid testing for such drugs as cocaine, marijuana, heroin and amphetamines. 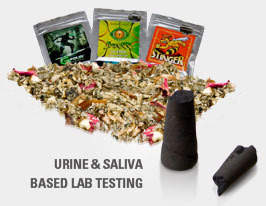 Our Lab's Urine or Oral Fluid Synthetic Cannabinoid Test can be ordered with your standard panel to ensure detection.